Patrick is dedicated to helping you through the most complex and emotional family law matters. He was raised in Grand Rapids, Michigan. He attended college at the University of Notre Dame before attending Notre Dame Law School, graduating in 2001 with honors. While in law school, he studied for one year at Notre Dame’s campus in London, England. After graduating from law school, Patrick worked for almost three years as a staff attorney at the Surface Transportation Board in Washington, DC, a federal administrative agency that is associated with the Department of Transportation. In 2004, Patrick decided to enter private practice. He opened a solo law practice in Rockville, Maryland where he handled a variety of matters on behalf of individuals and small businesses in the areas of family law, civil litigation, and criminal defense. During this time, Patrick gained valuable experience working in a variety of courts in Maryland, including federal court. From 2009 to 2011, Patrick worked as an associate at the Law Offices of Raymond Carignan in Severna Park, Maryland. While there, he continued to handle matters on behalf of individuals and small businesses in the areas of family law, civil litigation, and criminal defense. 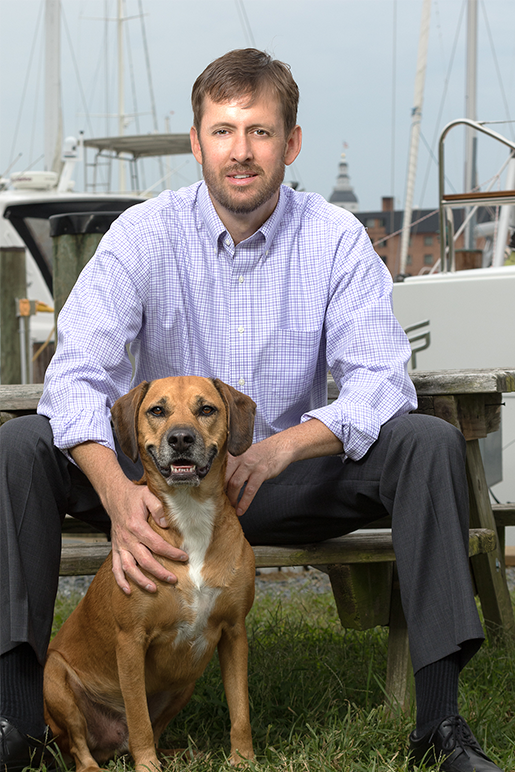 In 2011, Patrick resumed his solo practice, this time in Annapolis, Maryland focusing almost exclusively on family law. During his career, Patrick has successfully represented countless people in divorce, child custody, child support, domestic violence, and other family law matters of varying degrees of complexity. He has represented clients in all stages of their cases, including settlement, trial, and appeal. Patrick looks forward to spending many years practicing family law in Annapolis, in which he greatly enjoys working and spending time. Patrick and his wife Ha live outside of Washington, DC and enjoy spending time in both Washington and Annapolis. Patrick often brings his dog Dillon into work. Dillon is a calm and friendly addition to the office. Dillon often sits in on initial consultations, and he assists Patrick’s legal practice by greeting everybody with a loving face and a wagging tail.